Have you noticed these posters in storefronts around town? 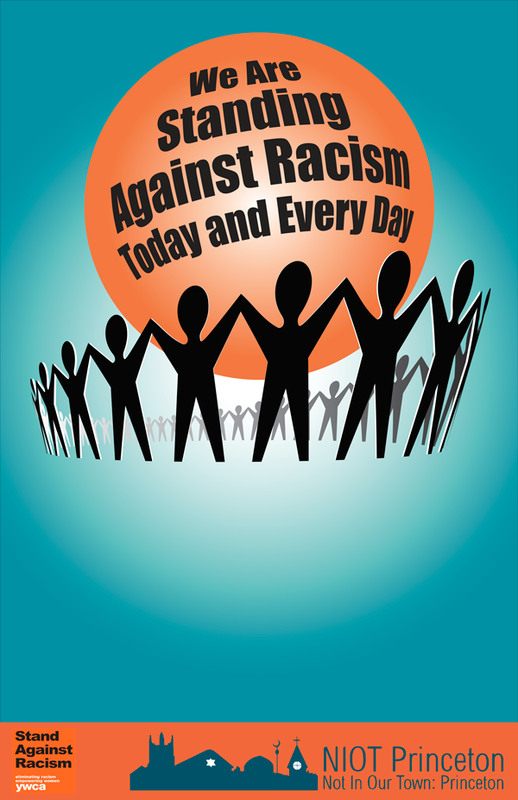 Merchants who support the Stand Against Racism campaign, by putting the signs in the window, are featured in a two-page color spread in Town Topics this week. The ad was sponsored by an anonymous donor to Not in Our Town, an interfaith, interracial group committed to speaking truth about every day racism. Special thanks to Joy Chen — vice president of the Princeton Merchants Association and proprietor of JoyCards — who designed the poster. And to Lori Rabon of the Nassau Inn, which sponsored the legislative breakfast on Friday. And by following the Not in Our Town Princeton blog, with its calendar of pertinent events.